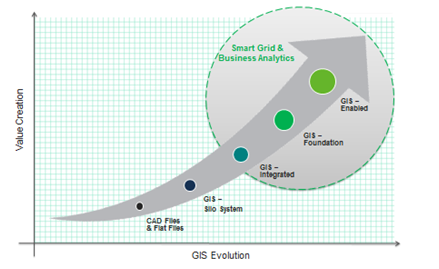 GIS is very much talked about in the utility space. Every new franchisee that starts or an existing utility wants to first start by mapping the network and its customers to a GIS map. How effective is this and how effectively it can be done are both questions whose answers differ. However, in the experience of an Indian utility, a well executed strategy for GIS and its integration with existing IT applications can be successfully implemented. Rahul Bagdia from pManifold team spoke to Mr. Sanjay Sahay, Vice President - India Sales, Infotech - Enterprises. The company has 20+ international experience of providing solutions in the arena of Smart Grid, GIS, Network Management, etc. The below shared are the author's personal views and not to be associated with any of their company's association. What are the challenges with GIS implementation projects at Indian Discoms? 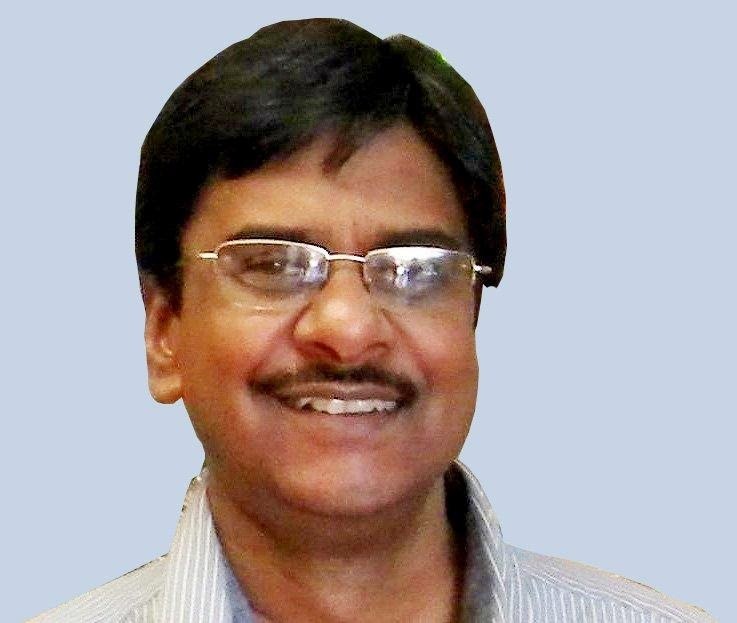 The challenges with GIS implementation in India are many. Some of these are lack of high quality standard GIS map data required for an Utility solution. Standard maps which are available may have content deficiency, poor accuracy levels and diverse forms of representation. As a result each Utility has to generate fresh map data each time they plan to for a GIS roll out. In addition Utility divisions/departments work in silos thereby creating, and maintaining duplicate maps and asset data which have redundant and inconsistent workflows due to working in silos. The systems are not integrated resulting in very little benefit that is derived out of the system. There is also a limited understanding of a Utility GIS solution and is generally mistaken for a map viewing tool than a fully integrated enterprise solution which helps a Utility improve it Planning, Operations and Maintenance functions by bringing in process, network and cost efficiencies. Needless to say that a fully integrated enterprise GIS will help improve efficiencies, revenues and customer satisfaction through better network planning, asset management, customer information, outage management and crew deployment. There is also a lack of consultants having deep understanding and domain knowledge of a utility enterprise GIS roll out and its business benefits. This lack of correct advice often results in faulty system architectures, deficient data models leading to half-baked projects or projects failures. As a result we find very few examples of successful enterprise GIS implementations in the country and its full benefits are not yet extracted by Utilities in India unlike what we see in the developed world. What phase wise & meaningful objectives/targets for GIS implementation at Discoms? Enterprise GIS project execution is a process in itself aimed at achieving utility business goals. It commences with the consultancy report preparation until the solution deployment and implementation. The initial step, consultancy and planning can refer to a very high level understanding of the business process and functions leading to the preparation of a consultancy report followed by pilot implementation. Here, selected sampling and preferably a POC is prepared to understand the solution approach, technology, and data model. As portrayed in the illustration, the outputs of each step serve as the inputs for consecutive next steps, grouped into different phased applications such as Process Engineering, Application, Data, Testing, Integration and Training. With various organized and non-organized solutions and service providers around GIS in Indian market, how you see the market evolving? The geospatial market in India is expected to be growing at a fast rate, at around a CAGR of 8-9 percent. The demand for GIS in Public Sector Utilities today is fuelled by ambitious Government projects such as Restructured-Accelerated Power Development & Reforms Program (R-APDRP). A large number of projects in most of the state run utilities have been awarded to different technology providers and system integrators. However, many of these projects seem to getting delayed and off the track, the primary reason being overly ambitious specifications, unrealistic timelines, unattainable prices and poor procurement practices. We have also observed stress within the industry due to these issues especially with service providers involved in these projects. However we sincerely hope that some of these roll-outs will bring the expected business benefits to these Utilities providing the return on the massive investments being made. However on a related note we have seen some of the Private sector Utilities & Telcos taking lead in implementing enterprise GIS long ago who have had successful roll-outs, with mature GIS implementation practices, offering the envisaged business benefits. If we speak of the evolution and growth of GIS many milestones have been achieved since the days of scanning/digitizing of the available legacy maps and records within the organization and the migration of data from one platform to another. Even though such activities continue to drive businesses even today, GIS as a technology has progressed by leaps and bounds. COTS products for Utilities such as GE Small world enable Utilities in building enterprise GIS solutions catering to their different functions and tightly integrating them at the same time.Thus Utility functions which used to work in silos earlier are able to take advantage of enterprise application integration services to take better and quicker decisions. ERP, CRM, DMS, OMS, SCADA are some applications with which GIS integration is being done successfully today. Apart from having the advantage of being deployed on multiple platforms such as Client Server or Web Server GIS users today are also able to access geospatial services via Desktops, Mobile phones, Tablets, and PDAs. It is encouraging to see that today many Utilities mostly in the private sector are emphasizing more on enterprise wide solutions that are industry centric, easy to deploy and offer business benefits rather than looking at a generic technology and settling for a map viewing tool. In such organizations, we also notice demand for newer technology and features by end users which indicates increased value being offered by. What changes in business model you see emerging to allow utility to have one integrated Managed service provider in GIS space? What opportunity and challenges you see here? As discussed above we see an increased trend towards better understanding of the advantages that an enterprise GIS offers to a Utility. This has prompted progressive Utilities to come out of silos and aspire for a fully integrated enterprise GIS. The model generally calls for contracting a system integrator capable of supervising an end to end implementation on a fixed price model. This requires the capability of providing and executing a high level implementation road map which specifies the data model, COTS configuration, customized applications, data acquisition and migration guidelines, integration schema, training requirements and hardware recommendations. Once the implementation is successfully carried out Utilities seek to carry out data and application maintenance through a model outsourced to an organization that is capable of maintaining and enhancing the system from time to time. The trend is generally through a managed services contract to an organization capable of doing this in a cost effective manner. This is generally the vanilla approach based on the CAPEX model of funding. However of late we have also been witnessing demands for OPEX based business models for GIS implementation in Utilities. Although a challenge, considering how capital intense GIS projects can be, innovative ways are being devised to offer such business models to interested Utilities who are seriously looking at implementing an enterprise GIS system. Among some of these models is also the Cloud based subscription model which can be a promising proposition in future. As we know solutions deployed on cloud are commonly maintained off premises that are delivered on demand as a service via standard Internet protocols and users actually rent the physical infrastructure and applications within a shared architecture. Cloud based pay-as-you-go pricing model is often quite flexible when renting cloud applications or infrastructure and supports the OPEX model. However robust cloud solutions for Utility GIS are yet to be proven. It also throws up various challenges such as data sensitivity, bandwidth issues, scale, inflexibility in meeting unique requirements, etc. 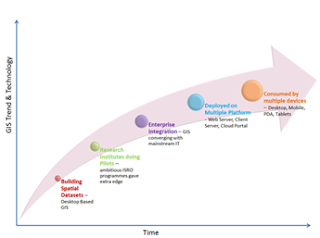 So it would be interesting to see how GIS technology providers overcome these challenges and if we would see an era of Cloud based GIS in the near future. What new innovations you have seen around globe, that you see can bring significant effectiveness to GIS implementations? How does it impact dat analytics its visualization and BI? 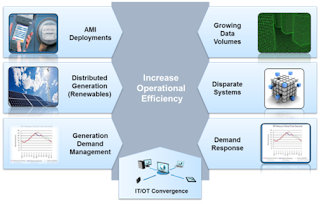 Smart Grid is now a buzzword in the Utilities sector. Smart Grid is an intelligent and automated network that is adaptive, interactive, optimized, predictive, distributed, integrated and reliable in nature. The Smart Grid aims to make all assets interactive down to the consumer meter level (Smart Meter) and empowers both the consumer and utility to respond better to changing needs. Using Web enabled enterprise GIS as an analysis and planning tool in the Smart Grid system, Utilities can come very close to achieving minimal loss of power, adequate generation, secure networks and high customer satisfaction. Using Web enabled enterprise GIS, a utility can analyze the consumption patterns of their service areas. Outage information can be sent out from the Smart Meters and the Utility can have real-time information of the service area and number of consumers affected. Again, using GIS, the relevant information can be shared with teams on the field within seconds of the outage having taken place. Although an integrated GIS is essential for all Utilities; it is nowadays also being used as a backbone for integration with other IT systems as it is important to share information within and outside the Utility in order to realize the full value of the implementation. GIS is emerging as an indispensable technology which facilitates better functioning of the Utility and proves beneficial in more ways than one, if used to its optimal potential. perspective which can help a Utility in planning, network maintenance & restoration and customer service. It is also used for decision support related to usage and revenue patterns helping utilities in market planning and fixing priorities for revenue generation activities.